﻿Published by Sareth Ney on Oct. 24, 2016 at 6:10 p.m.
GRAPEVINE, Texas – Texas Frightmare Weekend will be taking place at the Hyatt Regency DFW, from May 5 through May 7. It will be celebrating 12 years, some guests have been announced and more will be added. Guests will be in attendance throughout the weekend, cancellation and schedule changes are expected. The pre-shows take place at Alamo Drafthouse Cinema and Texas Theatre. Reunions will be taking place at Texas Frightmare Weekend. They include: “31” (Richard Brake, EG Daily, Meg Foster, Judy Geeson, Malcolm McDowell Pancho Moler, Jeff Daniels, David Ury and Torsten Vogens). “The Thing” 35th Anniversary Celebration (Dean Cundey, Keith David, Wilford Brimley, Thomas Waites), “The Hills Have Eyes” 40th annual celebration (“Michael Berryman, Dee Wallace Stone) and “Fright Night Reunion” (Tom Holland, Amanda Bearse, Chris Sarandon, Stephen Geoffreys, William Ragsdale, Jonathan Stark, Steve Johnson). Willie Aames (“Charles in Charge”), Keith David (“They Live”, “Pitch Black”), Ken Page (Tim Burton’s “The Nightmare Before Christmas”), Ted Raimi (“Evil Dead” trilogy, “Spider-Man”), Geno Segers (“Bone Tomahawk”, “From Dusk Till Dawn: The Series”), Shannon Elizabeth (“Scary Movie”, “13 Ghosts”, Max Thieriot and Nestor Carbonell of “Bates Motel”, Caleb McLaughlin (“Stranger Things”), Michael Pare (“The Philadelphia Experiment) and more are scheduled to appear at Texas Frightmare Weekend. 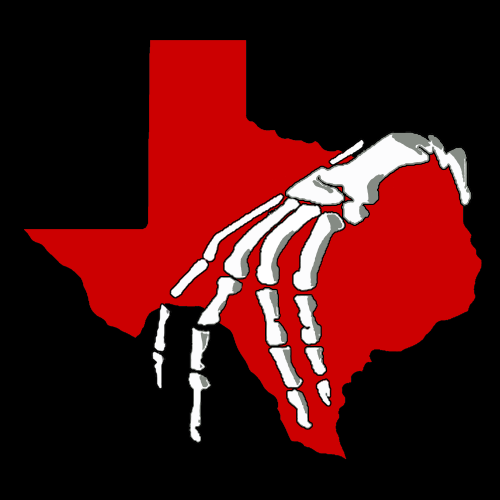 Individual ticket to attend Texas Frightmare Weekend range from $25 to $43.95, premium pass is $159.95, weekend pass 4-pack is $190 and the weekend pass varies from $55 to $73.95. The prices exclude taxes. Tickets grant access to celebrity, vendor and screenings. Children 12 years and under are free to attend. Tickets will be available at will call only. Guests are encouraged to print their invoices and bring their identification cards, when they arrive. For more information about tickets, click here. ​Fangoria Magazine and is associated with Texas Frightmare Weekend, every year. The motto for the festivities is “The Southwest’s Premier Horror Convention”. The goal they hope to achieve annually is to provide their fans with “an unrivaled experience by celebrating all aspects of genre films”. It hosts autograph signings, celebrity appearances, parties, horror memorabilia vendors from all over the U.S., panels, question and answer (Q&A) sessions and screenings. Danny Trejo, George A. Romero, Clive Barker, Malcolm McDowell, Robert Englund, John Carpenter, Tobe Hooper, Cary Elwes and hundreds more have been guests. The first venue to host was Grapevine Convention Center (23,500 square feet). In 2012, Texas Frightmare Weekend moved to the Hyatt Regency (93,000 square feet).